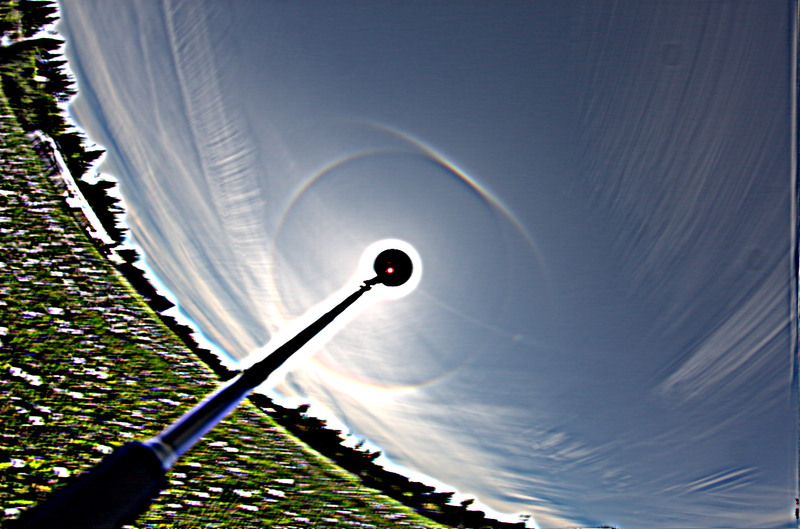 There were not rare halos during the display, exept for a weak upper 23° plate arc and a 9° halo. However, the display contained classic halo forms that were quite bright and long lived. I want to show you how these halos change their distance from the sun and curvature in nature. The thing that I remember most is the bright upper tangent arc, that was seen against a very thin ice cloud layer (1).